(PNS) It has been described as one of the major highlights of the 223rd General Assembly (2018) in St. Louis. Hundreds of Presbyterians, including the Reverend J. Herbert Nelson, II, General Assembly Stated Clerk, Co-Moderators Vilmarie Cintrón-Olivieri and the Reverend Cindy Kohlmann, and Presbyterian Mission Agency Executive Director the Reverend Diane Moffett, walking to the City Justice Center. 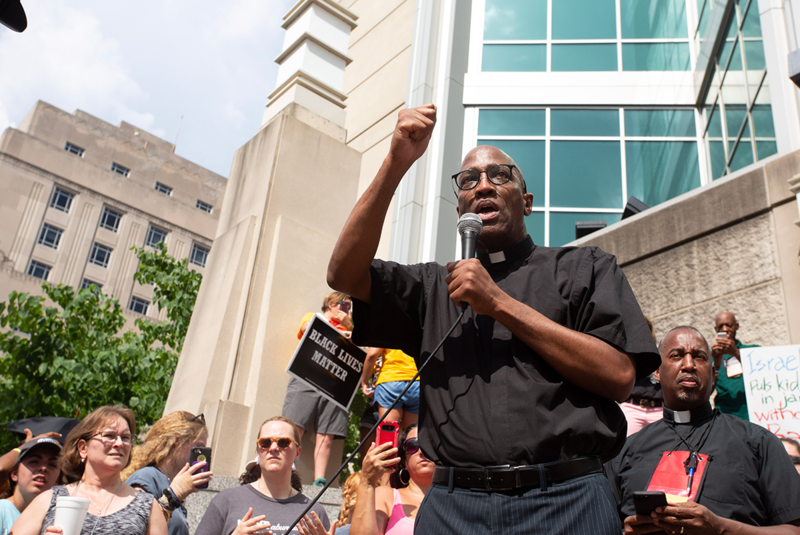 With a collection of more than $47,000 received at the assembly’s opening worship service, Nelson turned the money over to local organizations to begin bailing out individuals who had been prescreened for release because they could not afford their cash bail.